Skylines are supposed to define cities. But skylines change, just like the cities below them. 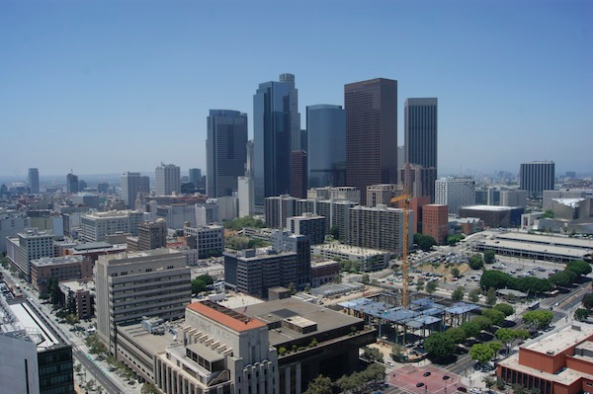 And Los Angeles is approaching a major moment of change with construction underway on the new Wilshire Grand Tower, which, at 1,099 feet, would be the tallest building west of the Mississippi. It’s supposed to be completed in 2017. This building also could alter the fabrication of L.A. 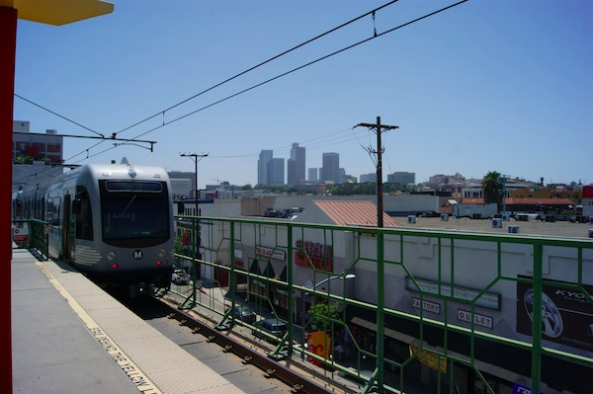 It will be the first building in downtown lacking the signature “flat roof” design—a big change for the aesthetics of Los Angeles. 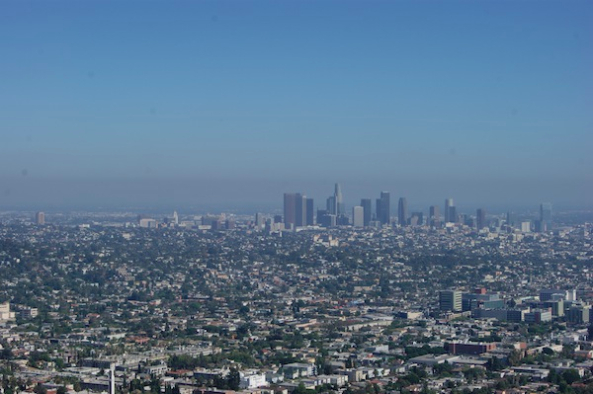 The Los Angeles skyline captured in this slideshow is, literally, a snapshot in time. 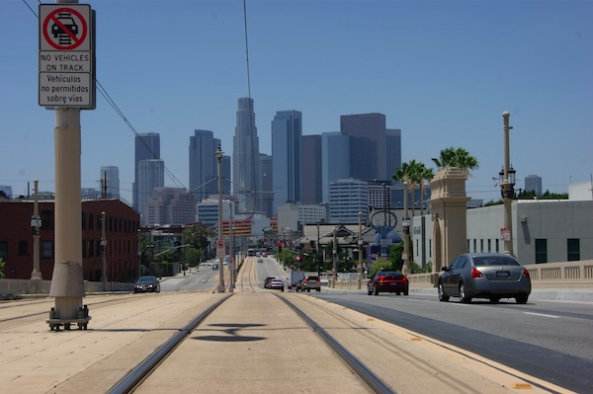 The photos are glimpses of a Los Angeles, and a skyline, that won’t be with us for much longer. I understand that things don’t last forever. 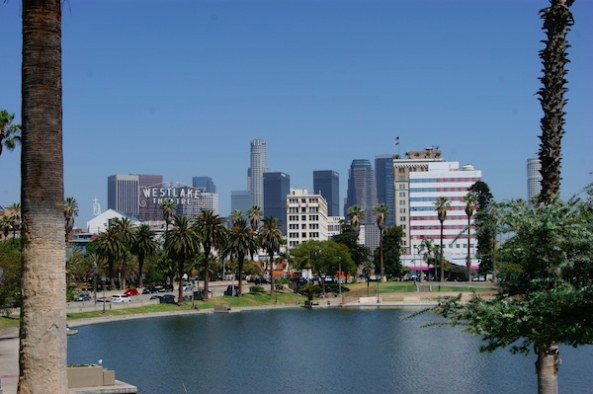 I started shooting the skyline in the spring, when I arrived in L.A. from Arizona for 12 weeks of work at Zócalo. I’ve tried to understand this diverse city in a variety of ways, including with my camera. Los Angeles, I quickly learned, looks different depending on your vantage point. 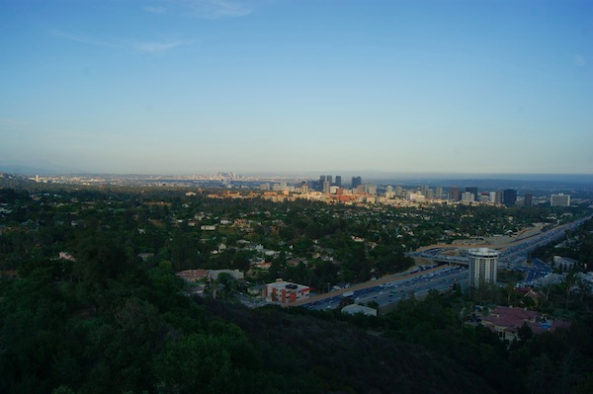 So I decided to take photos of L.A.’s skyline from different perspectives, as a way of introducing myself to the city. 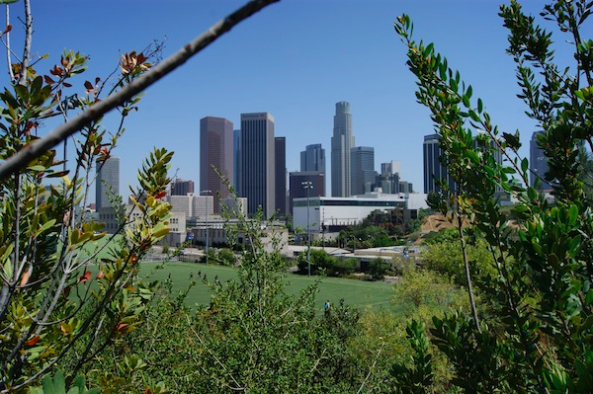 As you look at the photos, consider where they were taken: from the top of City Hall, from Boyle Heights, from the observatory. How does the viewpoint change the skyline? At the end of next week, I’ll head back to the Phoenix area, where I grew up and where I now attend university. 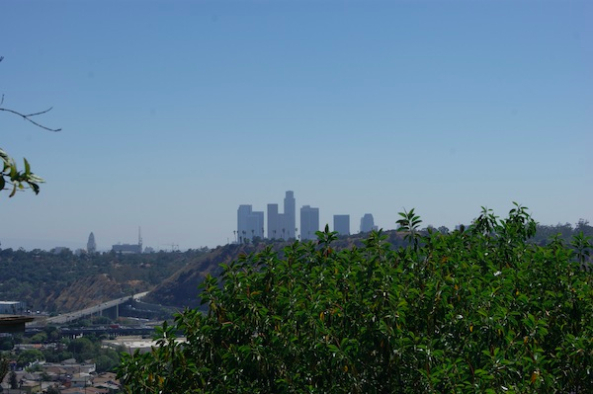 I’m sure I’ll be back again, but by then, neither the L.A. skyline—nor I—will be the same. Chloe Nordquist, a junior at Arizona State University’s Walter Cronkite School of Journalism and Mass Communication, is a sustainability journalism fellow at Zócalo Public Square.